Hello, Linda Lucas here! 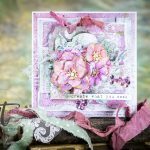 I hope you have enjoyed and played along with our Sneak Peek Blog Hop. 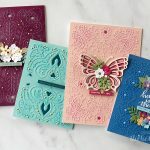 There are so many beautiful dies and exciting new Licensed Designers. 1.Cut/emboss two (2) Labels One Die #6 (#1 being the smallest size die) with Whirl White cardsdtock, using the Platinum machine. 2. Score one of Labels One die cut at ½” and fold forward. 3. Apply double sided tape to the folded portion and adhere the second Labels One die cut as the front panel. NOTE: make sure the curved edges line up and become one shape. 4. Cut/emboss one (1) Savoy Decorative Accents Frame Die using gold cardstock. To create a frame, nest Insert Die inside Frame Die, secure with washi tape, and place on top of cardstock. Cut/emboss with the Platinum machine. 5. Adhere the frame to the card base using double-sided tape. 6. Pop up Savoy Decorative Accents Insert die cut (from Step #4) with 3D Foam Squares and place inside the frame. 7. 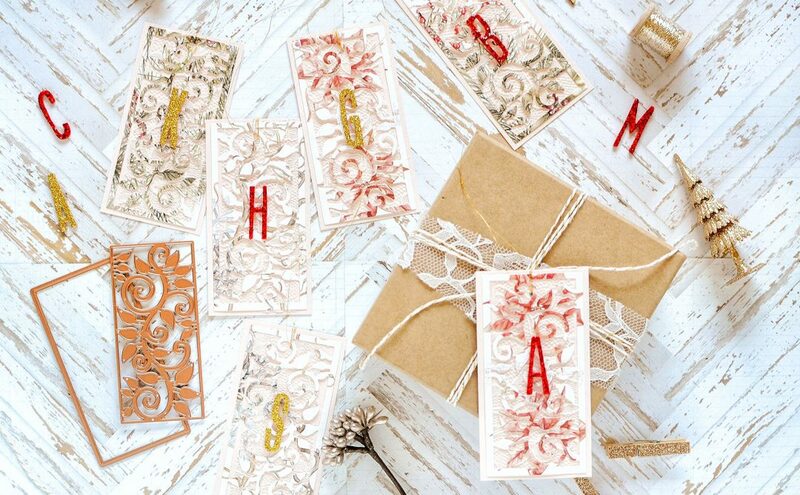 Cut/emboss Layered Poinsettia Petal Dies #1, #2 and #3 (smallest die size is #1) using red cardstock. 8. 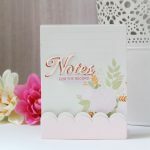 Shape each petal die cuts using the Tool ‘n One and Stylus Tip #3 (#1 being the smallest) with a foam mat. 9. Layer the flowers using liquid glue. 10. Cut/emboss one (1) Stately Circles Die #2 using Whirl White cardstock. 11. Adhere to layered card base. 12. 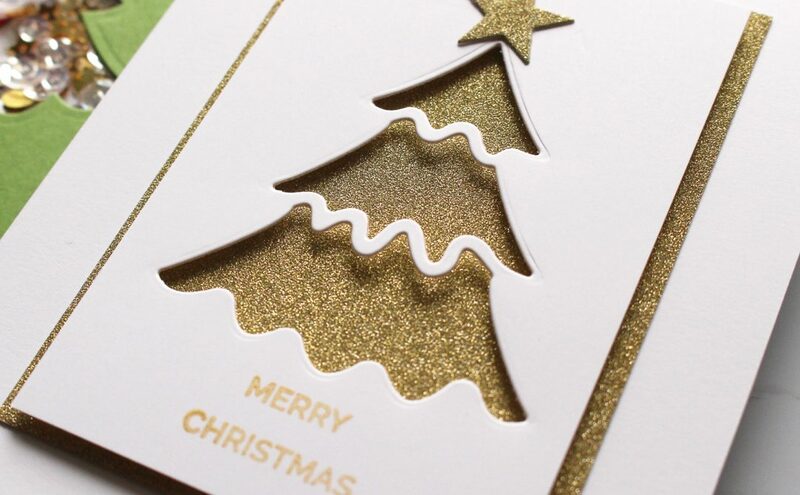 Attach Layered Poinsettia to the centre of the layered die cuts using liquid glue. 13. Adhere rhinestone in the center of the poinsettia. 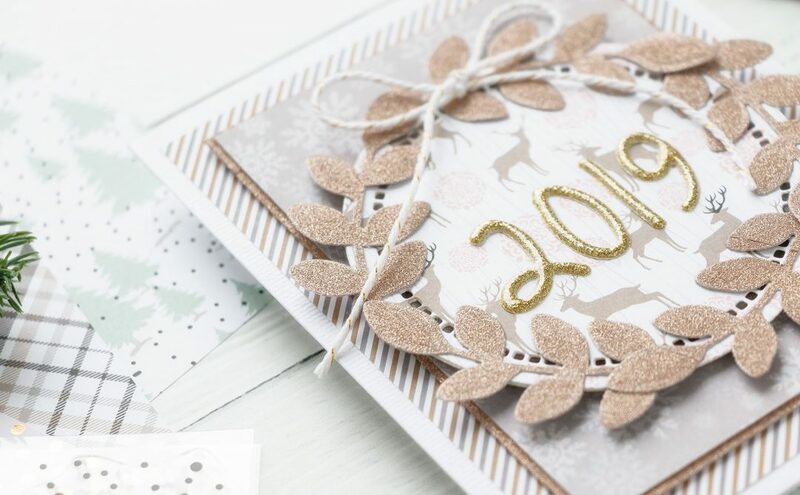 Thanks for stopping by the Spellbinders Blog! I hope you have enjoyed this tutorial. We look forward to seeing your comments to hear your thoughts!